I am very pleased to welcome you to my website and hope you will find many things of interest here. It is devoted to the lives of Chazanim of old, wherever they worked in the world and I hope it will be somewhere where all those who dedicated their life to the service of God in the Synagogue will find a place of recognition. Included are famous choirmasters who built up close working relationships with the Chazanim to create religious services of great beauty. You will also find many articles here related to Synagogue music and the art of Chazanut. I would like to invite anyone who has information about a Chazan or choirmaster to contact me so that he may be included here. May this find Well, You – and All within Your Walls and Gates. Would You have any further particulars as to the date and circumstances of the death of Chazan Hershman z”tl? I ask, because I found nothing in the New York Times archives. I presupposed, perhaps wrongly, that Chazan Hershman lived in New York, at the time of his death. I found only two articles, relating to events in which he took part, in 1926-27. It seems strange that someone then so well-known, and beloved, should not have merited a mention in a publication of record. Thanks for your kindness, in posting so much that is so helpful. Thank you for your kind comments. I’m afraid that the only information I have is what I’ve been able to post. The trouble is that it’s very difficult to come by accurate information and I have to rely on what seems to be the ‘majority opinion.’ I have an LP of Mordecai Hershman which says that he died in 1940 at the age of 51! In the event that I do obtain any more information, I shall certainly ad it to to the item on my site. With kind regards. Do you know by any chance where ABB died and where he was buried/ Is there a grave? I have a record from Alexander Sirota on Homocord (J.40121-I/II). He sings W’szeorew / Ribono Schel Olom, I can’t find any information about this “Oberkantor”, who sings with acc. of a harmonium. Do you have any information about this cantor? Was he related to the famous Gershon Sirota? The record can be downloaded from my blog http://satyr78curiosa.blogspot.nl/. Thank you very much for this. It’s another example of a wonderful Chazan about whom little seems to be known. I have not heard of Alexander Sirota but there seems to have been other Chazanim in the same family. There was a Chazan Siroto (note the ‘o’ at the end of the name) who was in Manchester at some time. I have seen manuscript books with his name embossed on the covers – they are now in the library of the London School for Jewish Studies. If anyone has any information about the Sirota(o) family I would be very grateful to receive it. I’m sorry I can’t be of any more help. I saw Rabbi Grunwald in Streatham yesterday and reminded him to get in touch with you regarding a precious photo of the Chazonim (My late father appears on it)..
My best wishes to you .I am delighted with your excellent website and perhaps you could include two more names to the biographies. Chazan Josel or Joseph Sirota (or Siroto), was, most likely, not realted to Alexander Sirota or Gershon Sirota. He was born in Lithuania in a small city called Baltrimantz in 1869. His father was also a Cantor. and his name was Daniel the Cantor. Josel Sirota became a Cantor of the Vilna Choir Synagogue, and in the beginning of 20 th century left for England, where he and his family settled in Manchester. 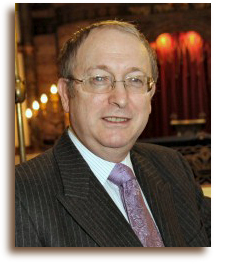 In Manchester he became a well-respected chazzan in the United Synagogue on Cheetam Hill street. He died in 1927. His younger brother Betzalel Sirota was born in 1871. He studied at a conservatory in Vienna, and considered singing professionally. However, he also became a chazzan, and for many years served as the chazzan of the Chorshull Synagogue in Jelgava, Latvia.He traveled to USA in early 1920,s where he gave a series of concerts. Betzalel Sirota died in 1934 from stroke. (There is a book ” Out of the Pale” published by Stephen W. Graffman Esq, who is a grandson of Saul Grafman – one of the famous cantors of North America in the beginning of 20st century. Saul Grafman was a cousin of Josel and Betzalel Sirota, he was also born in Baltrimantz, Lithuania. This book describes the Grafman Family History with connection to Sirota family. I am Tamara Modilevsky, retired physician. I live in Encino, California, belong to Valley Beit Shalom Synagogue. I am a granddaughter of Cantor Betzalel Sirota. If you want his picture, I can email it to you. There is a large family of Josel Sirota descendents in England. Please respond if you feel that I gave you an useful information. Thanks, Tamara. Re the question on the Sirota family: The Homocord Alexander Sirota record, according to learned discographers was made in Berlin in c 1928. The Hebrew pronunciation bears a distinct Hungarian tinge. Also Samuel Vigoda (p510 Legendary Voices) notes that he came across “the Little Sirota” in Budapest who became a chief cantor in a synagogue in the Buda part of Budapest after earlier being cantor at Budapest’s Bethlen Ter synagogue. This Sirota was said to be a distant relative of Gershon Sirota. Vigoda notes he passed away shortly before the publication of his text. Later (internet) sources mention a Chazan Sandor (Hungarian for Alexander) Sirota in Budapest in 1957 and also that Chief Rabbi Imre Benoschofsky (d 1970) officiated at his funeral. Thus the probability is strong that this gentleman is the artist on the Homocord record. Regarding the UK Sirota/Siroto family in Manchester, Gershon’s older brother Joseph Sirota/Siroto was Chazan at the United Synagogue 1910-1926 ( d aged 58) and Joseph’s son Isidore Siroto was Chazan at South Broughton until his death in 1946 aged 51. Isidore’s son was the famous popular singer Lee Lawrence who moved to the USA in 1957 and passed away aged 41 in 1961. The latter three are all buried in Manchester..and Lee Lawrence’s grave indentifies his Hebrew name as Yehuda Leib ben Yitzchok. Yehuda Leib is also the rarely identified name of Gershon + Joseph’s father (according to the Hebrew employment contract of Gershon with the Vilna Stadtschul, a copy of which is online on the YIVO website). Re the earlier posting about Mordechai Hershman, details of his grave are on http://www.findagrave.com with search spelling Mordechai Hirschman ..date of death was Jan 30th 1941. My great great grandfather was Jacob Gottleib. Abraham Gottlieb, his son and Beryl’s brother was my grandfather and also a cantor of some note. My mother has much information. If you are interested I can put you in touch. Thank you very much for making contact. I would be delighted to be in touch with your mother so that I can add to the information I already have about the Gottlieb Chazanim.
! Hirsh Laib Katz 2. Shalom Katz.Both of these may be found on youtube. I hope by now you have received the photo and other information I entrusted to Rabbi Grundwald.to pass on to you. I haven’t received the photograph from Rabbi Gruenwald yet, but I’m sure he’ll pass it on to me as soon as he can. I wonder if you would be good enough to remind Rabbi Grundwald about the photo as it may have slipped his mind.I only entrusted him with it as I thought you met up quite frequently. Thank you for your wonderful website, which is very informative and full of gems. I am working on a book about the diaries of Zinaida Poliakova (Zeneide Poliakoff), the daughter of Lazar Poliakoff of Moscow. On your website, you include the fascinating excerpt by Jack Rosse in which he mentions that his mother worked as a cook for the Poliakov family. Would you have the full citation for that piece? I am trying to identify all the people in Poliakova’s diaries and also understand her family’s kashrut practices: apparently her mother was very strict about the immediate family’s observance of kashrut in the house. She also describes the “boy’s chorus” at the opening of their private synagogue. If you are interested in other Russian-Jewish narratives about cantorial life, our recent book includes excerpts from the memoirs of Pinhas Minkovsky (the cantor of Duvid Twersky’s court in Talnoe),” the memoirs of Genrikh Sliozberg about the cantor of the Poltava Choral Synagogue, and the memoirs of Avraam Uri Kovner about the Cantorial Cantorial “competitions” in Vil’na (ChaeRan Freeze and Jay Harris, Everyday Jewish Life in Imperial Russia, Select Documents, 1772-1914, docs 1,7, and 8). Thank you so much! Do you know who was Benzion Kapov-Kagan? Please connect with me. I want to communicate with you about this person. Re Sirota family, I have now seen information which indicates the suggestion that Joseph who came to Manchester was a brother of the famous Gershon Sirota is erroneous. The fact that similar names appear in both branches may indicate that they were cousins.